The Marylebone Street Station (Great Central Railway), London. 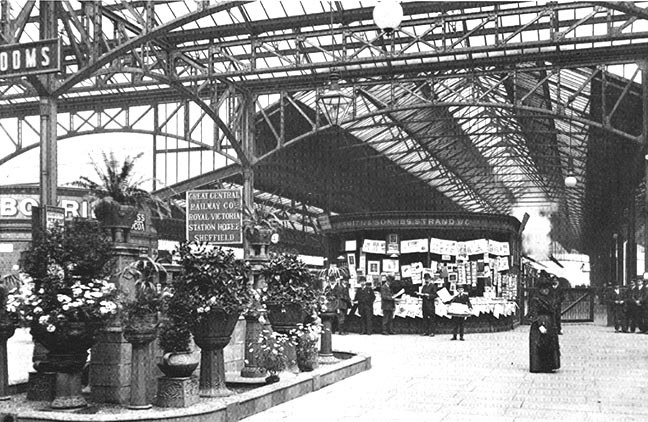 The picture was taken, according to Betjeman, "just after its opening in 1899. Monseigneur Reginald Knox said that this was the only London Terminus in which one could hear birdsong. The Great Central Railway was the last, as it was the most sumptuoous, trunk line to reach London." Betjeman, John. Victorian and Edwardian London from Old Photographs. London: B. T. Batsford, 1969. Plate 150.